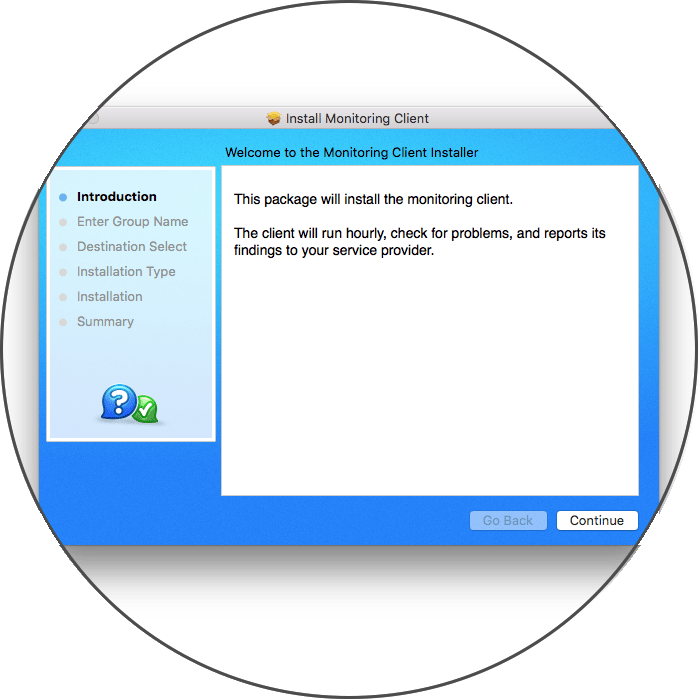 Watchman Monitoring is built to reduce the time you spend troubleshooting computers. 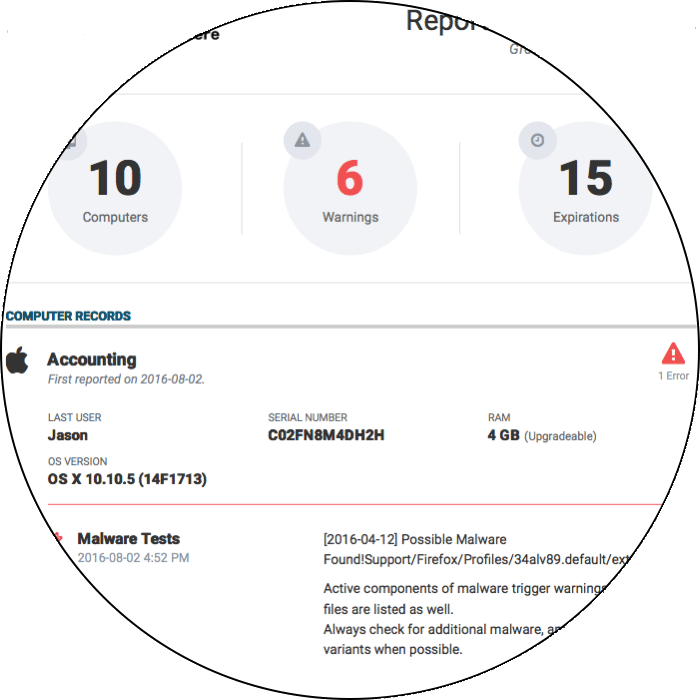 Our software systematically detects potential issues and reports them to you before they impact your end users. That way, you know when your customers’ computers have problems and can ensure the devices never go down. When users have an issue, they want immediate help. 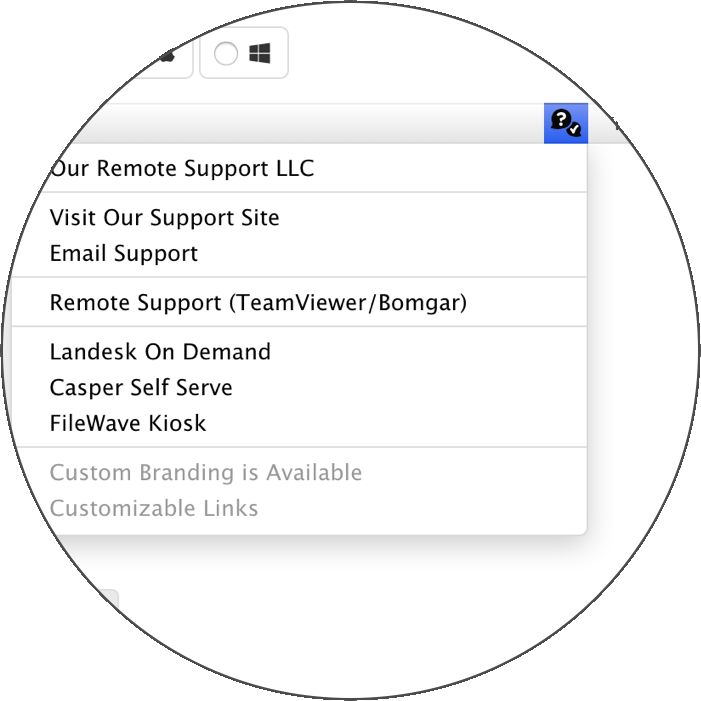 Our Contact Menu sits on every machine’s taskbar, offering the support paths you configure: Launch your remote support solution? Link to your helpdesk or website? The Contact Menu is yours to customize. The menu is more than an emergency hotline; it’s also a customizable problem-solving resource, application launcher, and network drive manager. 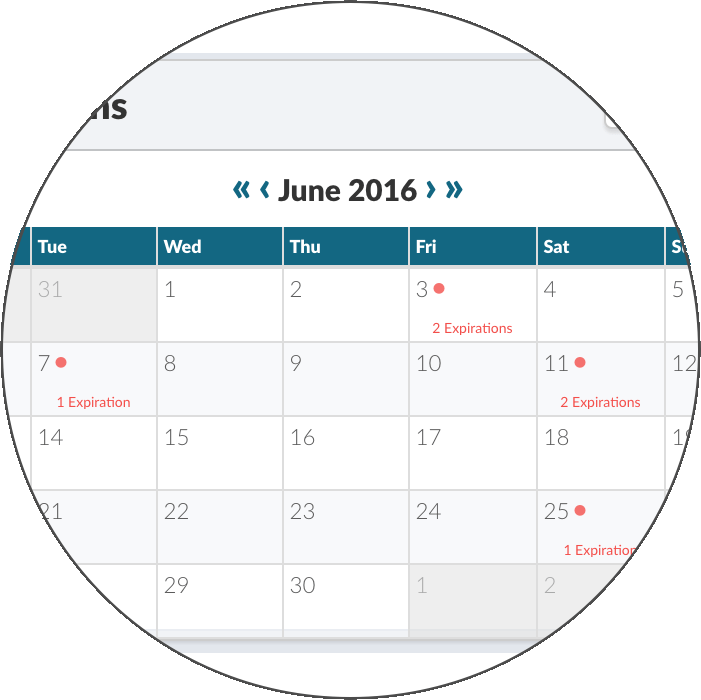 Forget about software license stress with Expiration Tracking. Our software automatically discovers key software expiration dates and sends you a weekly summary of key dates from the coming months, so that your users’ workflow is never disturbed. And if your software isn’t in our database, you can easily add it to the list. Consolidate your processes into a single, efficient workflow with Watchman Monitoring. We integrate with ticketing systems, remote support tools, and allow custom integrations via our API. 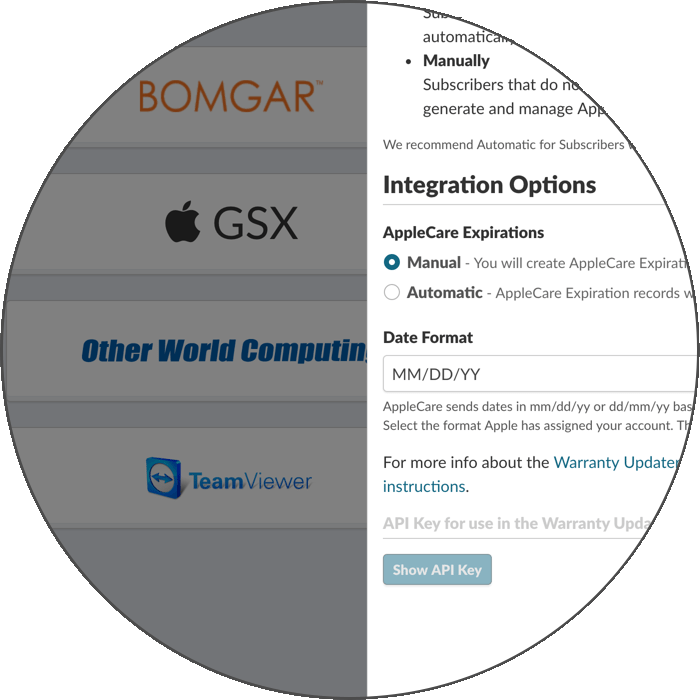 Out of the box, we integrate with your favorite third-party tools: TeamViewer, Bomgar, Zendesk, Jamf Pro, Addigy, FileWave, MaxFocus, and many more! Need to maintain your company’s look-and-feel? No problem. Promote your brand with optional Custom Branding. You can place your branding in a Mac’s Menu Bar and System Preferences or in Windows’ Task Tray & Control Panel. A well-informed user base helps the company as a whole work smarter. 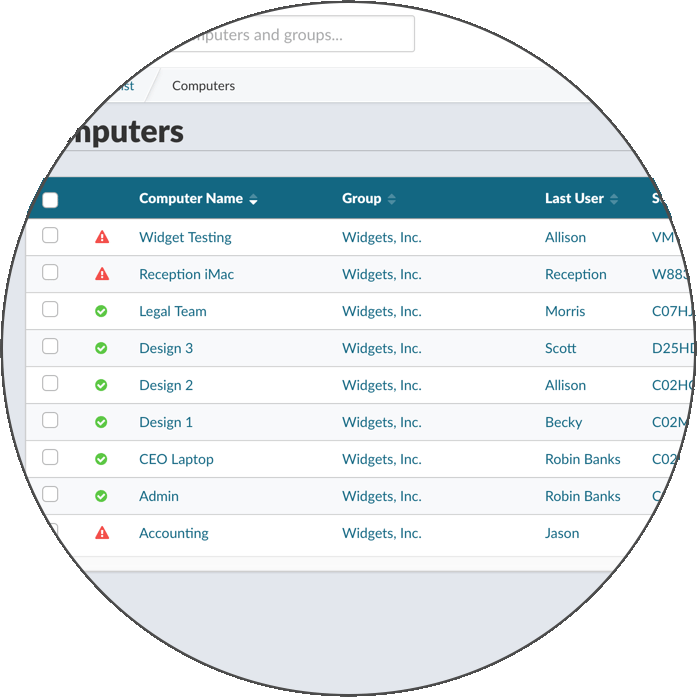 Keep your users up-to-date on their systems and save valuable time by automatically generating and styling reports, so that you can communicate at scale with your entire user base.